The Jefferson County Public Library balances the right to open and free access to all library materials with a parent or guardian’s right to request restricted borrowing privileges. 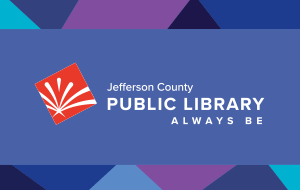 While the Jefferson County Public Library adheres to the policy of open and free access to all Library materials for all patrons, a parent or guardian may request restricted use of a library card for a child. This only applies to print and audio-visual materials, since a separate Library policy is directed at Internet Use and Safety. Children’s cards may be restricted in three ways. A child’s library card may be restricted to materials with an E or J shelf code; this restricts usage of the card to materials available in the Children’s areas. A child’s library card may be restricted from checking out Feature Films. When a parent or guardian requests limited access to materials for a child, they in effect are requesting a major exception to normal JCPL operating procedures. A request to restrict the use of a library card for a child must be made in writing to the Executive Director. The Executive Director will review the request and respond directly to the patron making the request.